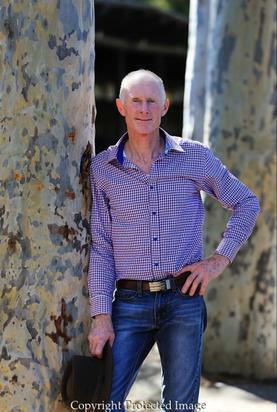 GOULBURN Racehorse trainer Danny Williams is Goulburn and District Racing Club’s Trainer of the Year. This prestigious honour has been won through hard work and over three and a half decades of racing industry experience. Perhaps it is no coincidence that Williams uses the same stables at Goulburn Racecourse that the late Guy Walter had so much success as the leading trainer during his years in Goulburn. Walter used to credit his staff with much of the stable’s success, and Williams does likewise. Early last year Williams had a serious training accident that could have ended his career, but determination and the people around him, plus his love of horses had the Goulburn trainer more determined than ever to succeed with his stable. Currently Williams has 34 horses in work and some more spelling. This is a tremendous workload even if there are other people around to do some of the work to prepare them for racing. “I have a great team of experienced staff,” Williams said. “They are all keenly interested in the horses and have their welfare at heart. My job is to spot problems before they really become problems and find a way of remedying them. It is all about understanding what the horses are trying to tell you. They all develop ways of trying to communicate with us, and it is up to us to determine the best course of action to see them race ready or rested as the need arises. I also need to keep open the communication channels with the owners and our clients. I have to keep them informed of their horse’s progress and when and where they are racing. Being a trainer is a lifestyle and one that involves long hours and dedication. I am usually up about 3am and do some work at home before heading to the stables. His partner Mandy O’Leary also takes a keen interest in the business, and is often found at the stables helping out. “We seldom get a holiday,” Williams said. “It is a seven day a week job 12 months of the year, but while we put in the long hours we endeavour to keep our staff to 38 hours a week so they can remain pretty fresh and alert. They all work really hard, take pride in their work and our stable’s success. It is pretty demanding. Usually our holidays or time away have something to do with the racing industry. The hard work of preparing the horses and nominating them for races in which Williams thinks they have a good chance of winning, or at least placing, has certainly paid off in Goulburn for the Williams stable and for Danny himself. His run of winners has put him miles ahead of his nearest opposition in the trainers premiership. But on top of that two of the horses from the stable have tied in the horses premiership. They were Ashjata and Martha Mary. Besides being Goulburn Trainer of the Year, Williams has also won the honour in Wagga Wagga and in the All NSW premiership he is running 20th, up against trainers like Gai Waterhouse. In the All NSW Strike Rate Williams is running second. His philosophy is to take the horses to where ever they have a good prospect of winning and to ensure the horses are well prepared and suited to the distance required of them. The overriding factor is always the horses’ welfare. “I love my job, I have grown up with horses and I like to communicate with them and encourage and reward them too,” Williams said. “They are all individuals and have their good days and not so good days. We feel for them if they get injured. The team at Danny Williams Racing includes: Lynden and Selena Webb, Wayne Hudd, Tennielle Jansen, Tjaay Brown, Vernon Lee, Sam Hewitt, Ben Battle, Amy Craig, Jenny Weule, Lana Walsh, Aaron Day, Melanie Kate Hando, Emma Longmire, Dave Jessat and Patrick Murphy. Danny Williams also shares his birthday with the ‘horse’s birthday’, August 1. With a father who was a terrific jockey, before becoming a trainer it was perhaps inevitable that Danny would head in a similar direction, riding successfully before an accident changed his career path to training. The premiership trophies will be presented at Goulburn’s next race meeting on Monday, August 18.